They knew now but could not react sufficiently. And so it continued, sapping the life out of everyone until the clock ticked towards drama, the abyss drawing urgency from them. 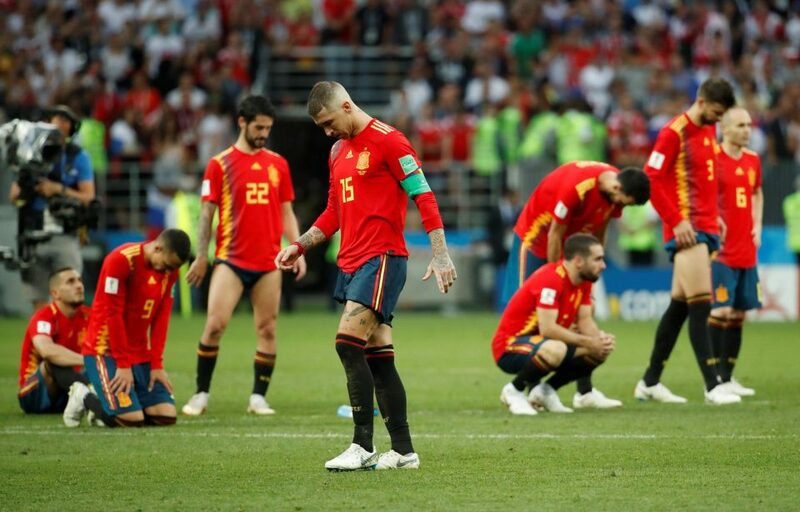 Spain sent on Aspas, adept at accelerating, the saviour against Morocco, and he was quickly involved, but a sad fate awaited. He cleverly laid off for Iniesta with his chest, the shot saved by Akinfeev. From the rebound Aspas struck just wide.